Season 5 Finale last night was OMFG! John Snow what happened???? Melisandre gets all smug when, in the wake of Shireen’s murder, the snow begins to melt. But things start looking a little less “Everything’s coming up roses!” when Stannis’ wife (name not worth mentioning, since she did nada to protect Shireen) hangs herself, Stannis learns more than half his men (and horses) have deserted him in the wake of the Worst Bonfire Ever, and then Melisandre abandons camp on one of the last remaining steeds. (We can all agree now that she’s just a pyromaniac with unusually good powers of persuasion, right?) Apparently the Red Woman saw defeat in her king’s future? * Sansaplans her mid-battle escape from Winterfell, but is sidetracked by Ramsay’s terrible strumpet, wielding a bow and arrow and threatening mutilation. Reek intervenes, knocking the enemy to her death, and the tormented siblings leap off the castle wall, into the snow and into… freedom? broken bones? hypothermia? Only time will tell. I could’ve used a bigger win for Sansa to end the season, but hopefully she continues growing into her power — and learns the power of the sword/poison/noose in Season 6. 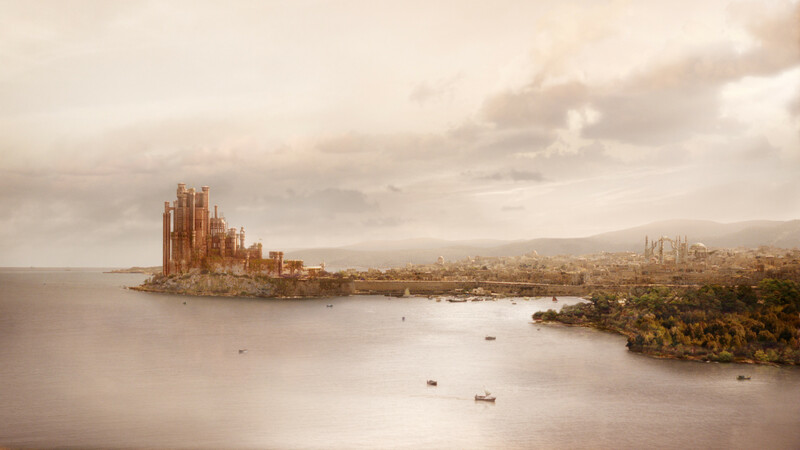 INFO on King’s Landing in GoT! Watch all 5 seasons to be caught up for Season 6 coming in April !